PokerStars has announced a series of changes to its MTT leaderboard promotion from January 2015, affecting its weekly, monthly and annual competitions. PokerStars´ “TLB” multi table tournament leaderboard competitions are in for a big shake-up from the beginning of January according to an announcement posted on the 2+2 forums by PokerStars´ Head of Public Relations, Michael Josem. 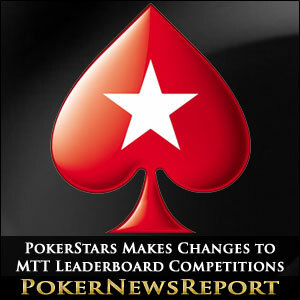 Historically, there has been three MTT leaderboard competitions running concurrently on PokerStars – weekly, monthly and annual – but, in the shake-up, the roll-over is being scrapped in the weekly promotion, the monthly competitions are being suspended except for the months of June, July and August, and the prize money for the annual event is being increased. Under the current format of the weekly TLB competition, the leaderboard winner gets to play in a heads-up challenge match of their choice against a PokerStars Team Pro for $1,000. Previously, if the TLB winner failed to beat their opponent, the $1,000 prize would get rolled over so that the following week´s challenge match would be for $2,000. 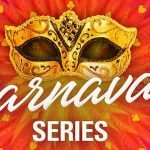 However, under the changes scheduled for 2015, the roll-over is being scrapped and any $1,000 prizes which are un-won will be added to a freeroll for all 52 weekly winners throughout 2015. The freeroll tournament for the 52 winners will take place January 24th 2016 at 13:30pm ET. The monthly TLB leaderboard competition was a very popular event due to its deep payout structure and potential for an individual player to finish the month strongly and grab a top prize (the distribution of the prizes was based on the best twenty TLB scores). PokerStars have decided to only run their monthly TLB competitions during the months of June, July and August next year and, rather than give away just $44,300 in tournament dollars as prizes, the site will be ponying up $100,000 in each of the three months´ competitions. 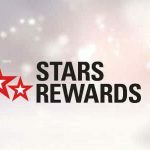 The money that PokerStars has saved in its monthly TLB competitions (plus a bit extra) will be pumped back into its annual promotion. Historically, the top ten players each year were rewarded with PokerStars´ Passports with a value of $5,000 for tenth place up to $50,000 for first place (a total value of $215,000). 1st to 10th – Fifty-two tickets to enter the Sunday Majors with a $215.00 buy-in, $5,000 worth of tournament tickets to PokerStars´ major online series, entry in a $75,000 freeroll to be played in January 2016. 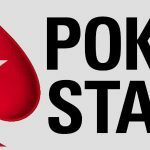 11th to 40th – $5,000 worth of tournament tickets to PokerStars´ major online series and entry into next January´s $75,000 freeroll. 41st – 100th – Entry into the $75,000 freeroll. The total value of the annual TLB leaderboard competition is being increased to $461,800 (from $215,000), raising the combined value of all three leaderboard competitions from $798,600 to $813,800. It looks like 2015 could be a good year to grind out a few tournament victories on PokerStars.